For the authentic American western experience, TLC-Stephenville, Texas offers the best of country living next door to a modern metropolis of city culture. Stephenville is nationally ranked as one of the most desirable small towns to live in in America and is located only 70 miles from the Dallas/Fort Worth metropolitan area. This friendly town is also known as the “Cowboy Capital of the World,” due to its rich frontier history and its pedigree of many rodeo national champions. It is also well known as an area that produces some of the country’s finest quarter horses. Do you enjoy outdoor activities such as hiking, water sports, amusement parks and horseback riding; all in scenery that will take your breath away? If so, welcome to the place where the only thing warmer than the Texas sun, is the welcome you will receive from the Stephenville community! Students accepted to TLC-Stephenville are offered a conditional letter of acceptance (CLA) to Tarleton State University. Students will be fully admitted to Tarleton State University upon receipt of all requirements for full admission. General English is for students who want to come to the United States to learn English but not necessarily attend a university after completion. 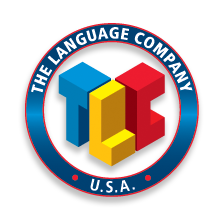 TLC’s General English integrates the development of listening and speaking skills, structural accuracy, and everyday communication. If your goal is to be able to successfully communicate English in everyday situations, TLC’s General English course is for you! Class Size: English Works classes are small. The smaller class size allows all participants greater attention from the instructor and allows all students plenty of time to talk. TLC is ready to help individuals sharpen conversational English with these small evening classes. Schedule: English Works classes take place two evenings a week which allows students the opportunity to achieve personal English language goals while maintaining a busy personal lifestyle. Program Theme: English Works is designed for students who want to learn English to succeed in both career aspirations and social life. Advanced Proficiency Level courses to meet these needs and special requests. TLC’s Business English is designed for students who wish to improve their general English skills as well as their ability to use the English language in the Business and Marketing fields. This program will explore business cultural practices and help to improve the student’s communication skills in specific areas of business. The program will include courses in listening, speaking and grammar as well as four, field-specific courses addressing various topics related to the language of business. These will include such topics as Business and Marketing, Leadership and Teamwork, Finance and Accounting, and Correspondence, Reports, and Presentations.